Dermot Berkery joined Delta Partners in 1999 as a General Partner. He serves on the board of Seewhy Software, Sensl, Luzern and Clavis Technolgy. He was also previously on the board of Farran Technology (sold in 2005 to Smiths Industries) and Similarity Systems (sold in 2006 to Informatica Inc). 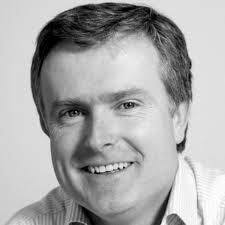 Before joining Delta, he was a Senior Manager with McKinsey & Co. Having worked in McKinsey, Atlanta for 4 years, he returned to Dublin in 1995 to grow McKinsey’s presence in Ireland. From 1995 to 1998, he helped Irish companies in a range of sectors to develop and pursue accelerated growth strategies. Prior to McKinsey, he was a Senior in the Corporate Financial Services Division of Arthur Andersen in Dublin and London, where he specialised in financial restructurings.